TSO Products branded Systainer - TSO Products LLC. Introducing our own custom branded TSO Products Systainer. 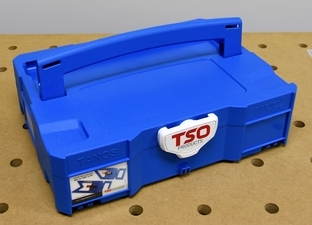 TSO Products custom branded Systainers are molded in blue, have our logo on the lid lock. Quick demo of how it all goes together. I have a large collection of systainers but this one just POPS. Even better that it can hold my GRS-16.